Power burning studio is CD and DVD burner software that can burn all types of discs like data CD/DVD, video CD/DVD, Blu-ray DVD, etc. In this tutorial, we’ll show you how to burn video DVD so that you can create your own movie DVD from the video you downloaded or recorded to play on DVD players. This tutorial will teach you some tricks about how to burn Video DVD. How to Burn Video DVD? The first step is to have Power Burning Studio installed and launched. 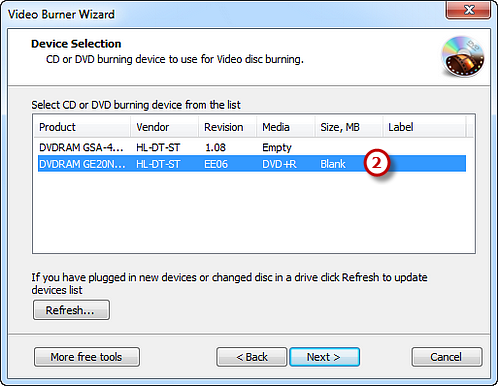 Insert a writable DVD into the disc drive and click “VCD/DVD-Video” to run the video burner wizard. The burner will automatically scan your system and list the available devices. Choose one of the usable burning drives from the list (the system will select it by default if there is only one). Click “Refresh” to update the device list if you plug in new devices or change the disc in the drive. Select “DVD video” from the video disc type of Video CD, Super Video CD and DVD Video. Click the square button to add video file(s) you want to burn and you can have a review of the selected file(s) size & possible file(s) size. 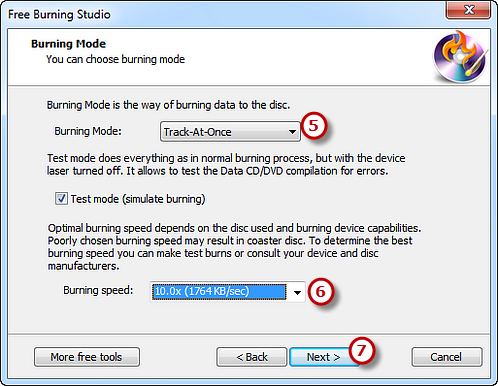 Select one burning mode from the Track-AT-Once, Session Track-AT-Once, Disc-AT-Once PQ and Disc-AT-Once raw P-W as needed. You are allowed to use Test Mode to simulate burning for checking errors. Then, choose the appropriate burning speed (Burning speed depends on the capabilities of your system and your drive). Click “Next” to start burning and wait until the process bar reaches 100%. The disc will eject after the video DVD has been completely burned. That’s all you need to know about how to burn Video DVD. Burn some movie DVD discs to enjoy!